DIO has invested more than £1.2 million in a new urban tactics facility that recreates the cluttered and congested environment encountered during modern urban operations. The new state-of-the-art training facility consists of thirteen single and two-storey buildings that have multiple internal and external access points for forced entry. 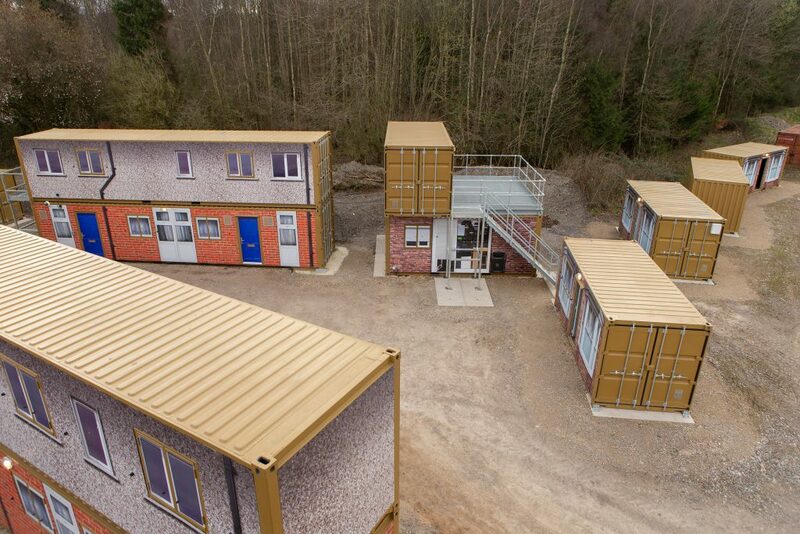 The buildings have realistic external facades and reconfigurable internal room layouts to provide soldiers with different options to train for defenders and attackers. The new facility also includes an air delivery platform where soldiers can practise multi storey attack and helicopter and rope training. All the buildings are also fitted with an audio visual camera system to capture and review training. 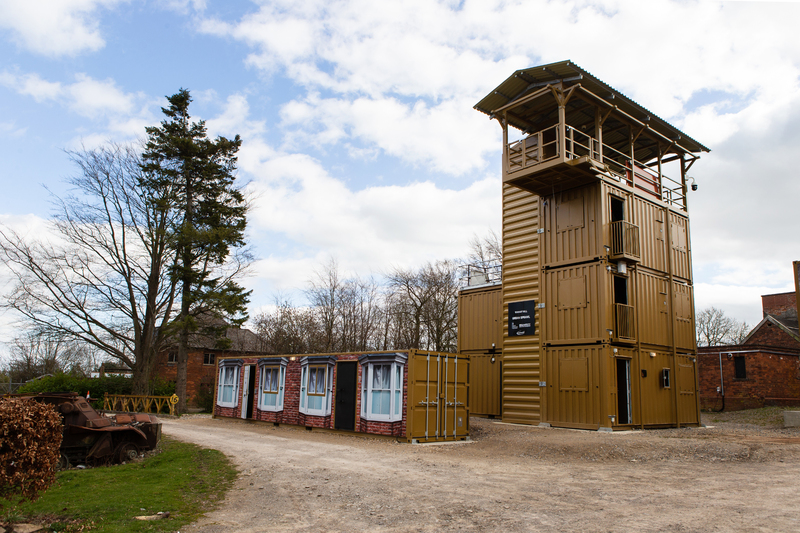 Soldiers need to be prepared to fight in urban areas and the new facility has been built to help provide a more challenging and realistic training environment for troops preparing for operations in the modern urban landscape. We worked with BeaverFit Limited and Landmarc Support Services to upgrade the training facility. The work to upgrade the buildings was delivered in two phases. The first phase was completed in October and the second phase was completed this month. During construction, the facility was kept open to make sure it did not affect military training. This required close working with our contractors to de-conflict the training areas during vehicle movements and the final delivery of the containers, which were manufactured off-site, to provide a more flexible solution. 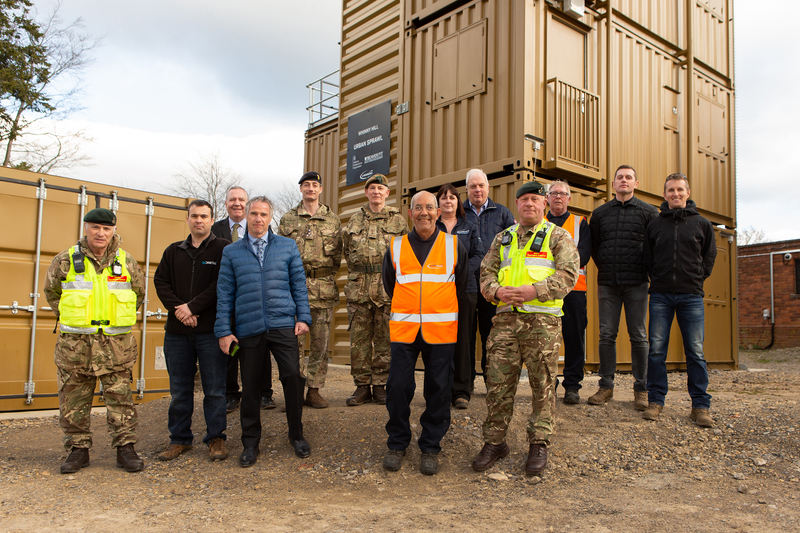 This project is a great example of joint working between DIO and its partners and demonstrates how DIO supports our Armed Forces by providing them with the facilities they need to live, work and train. The enhancements made at Whinny Hill will enable the Armed Forces to prepare for war-fighting in a complex urban environment, ensuring we meet the current and future needs of military personnel.